Thank you for your interest. 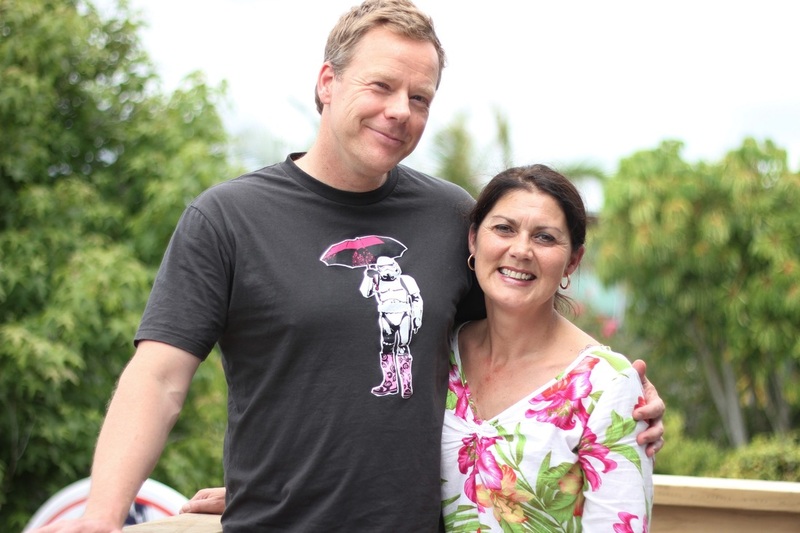 We offer high quality private accommodation in one of Auckland's most beautiful inner suburbs. Quiet and secure with off-street parking, our stand-alone units offer complete privacy - one with wonderful ocean view﻿﻿s to Waiheke Island. We are located less than 500 meters from Auckland's Kohimarama beach and only a 10 minutes walk from the cafes and restaurants of Mission Bay and St Heliers. B&T Stadium (formerly ASB Stadium) is just up the road. The CBD is an easy 15 minutes drive along the waterfront. We take pride in providing a premium quality B&B experience every time. All photos and information resemble exactly what our rooms are like - you'll get what you book, absolutely no surprises. We continue to improve our services whenever possible. Guest feedback in person is invaluable and we are grateful for all comments. Equally, we have an ever growing number of reviews with various OTAs. 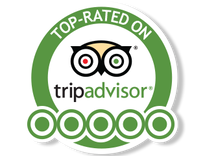 (Online Travel Agencies) Tripadvisor is a good place to see what our guests say about their experience at Kohi Beach Bed & Breakfast. Kohimarama is one of Auckland's Eastern inner city suburbs. We are close to the CBD, the cafes and restaurants of Mission Bay and the relaxed village atmosphere of St Heliers. Kohi cafes and restaurants are only five minutes walk down to the waterfront. Have a swim in the ocean or enjoy a walk along the waterfront with views of Rangitoto and Waiheke Island. Auckland is a vibrant and exciting city offering many events and attractions. It combines the beauty of Kiwi nature with the stimulation of a modern metropolitan environment. Click on the link below the video for a shortlist of websites that will help with planing your stay. Und Auf Deutsch - Wie Können Wir Helfen? Markus und Familie begannen ihr Neuseeland-Abenteuer bei uns: vom Flughafen direkt ins komfortable Seaview Apartment. Markus schrieb einen Reisebericht fuer das Darmstaedter Echo - lesen Sie ihn hier. 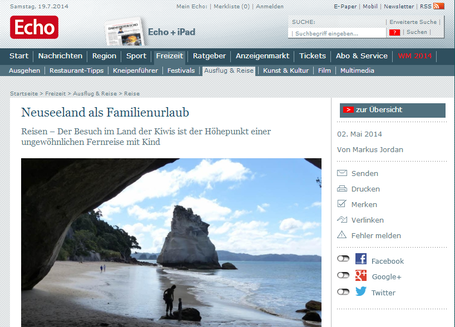 Möchten Sie Hilfe bei Planung Ihres Neuseeland Traumurlaubs oder eventuel Unterstützung vor Ort? 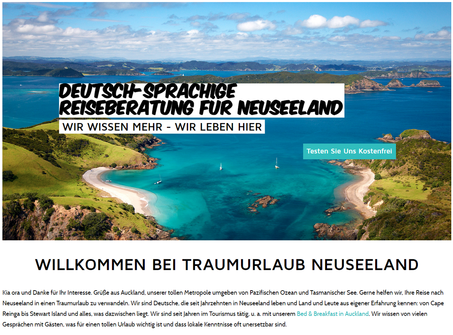 Unsere Partnerfirma Traumurlaub Neuseeland hilft gerne, schnell und günstig - mehr Details hier.